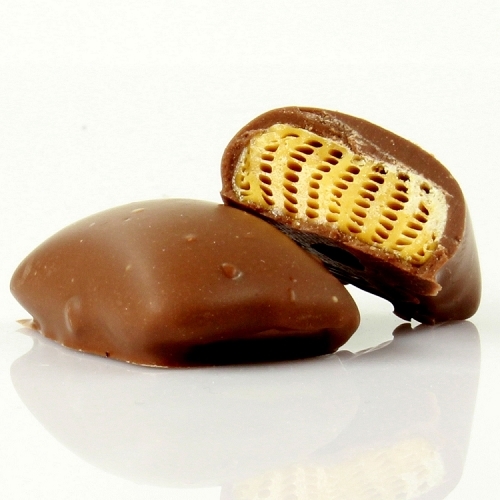 Boardwalk Caramel Coated Popcorn As “The Donald” would say, our Chocolate covered Caramel Popcorn is THE BEST! It’s the sweetest, crunchiest most flavorful treat in the ENTIRE universe,the only difference is you’ll believe it when you try it. Net Weight 6oz. Fresh popcorn covered with fantastic chocolate; we like the milk covering on this. 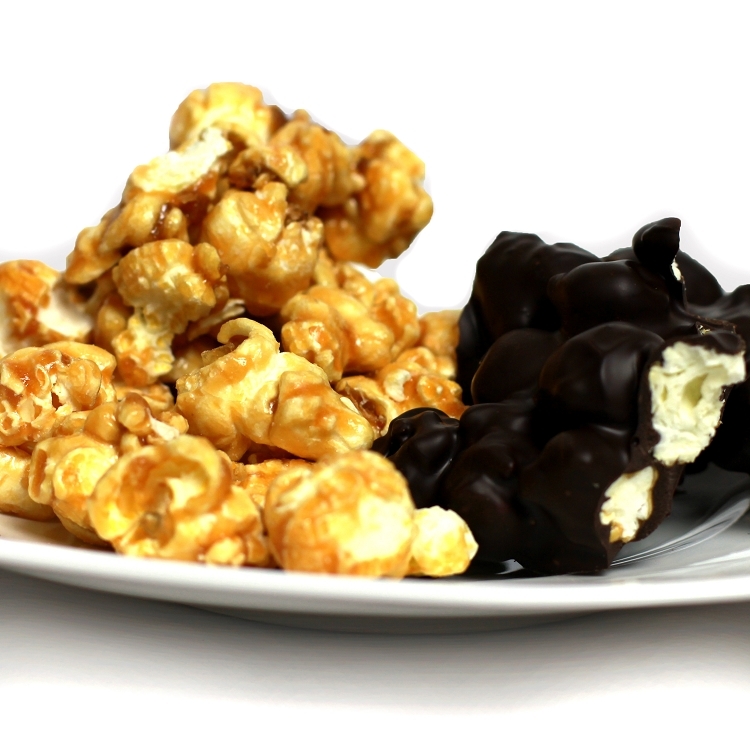 This is popcorn like you've never tasted before, and a perfect base for DB's perfect chocolate! Popcorn? I could take it or leave it, BUT, wrapped in heavenly chocolate... I'll take it every time! It's just the right mix of sweet and salty. It's definitely a getter if you like that sweet and salty taste with a little bit of chocolate. YUM!! 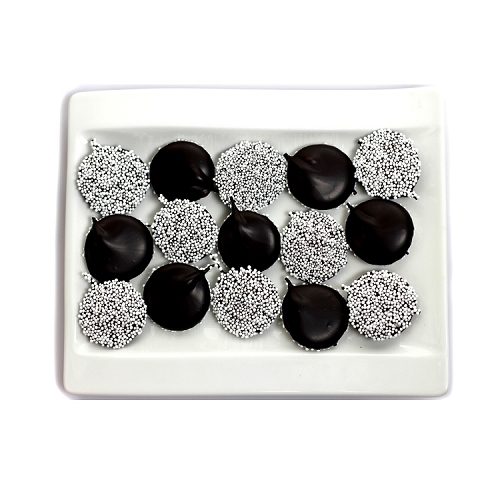 A combination of flavors that come together to excite the taste buds and bring a great deal of pleasure in eating. Product leaves the person in utter enjoyment. Everything here is so delicious and very difficult to decide on just one!! But this popcorn smothered in dark chocolate is so satisfying with its' sweet and salty goodness....it tastes like heaven!! I definitely need this stocked in my house at all times!! This chocolate covered caramel popcorn is, by far the best that I've ever tasted! It has just the right combination of sweet 'n salty. Just one pop...it's pretty hard to stop! chocolate by itself = addicting popcorn (specifically caramel popcorn) by itself = addicting Put the two together and I need to go up in jean size. yum. worth every bite. You can't not try this sweet and salty treat! 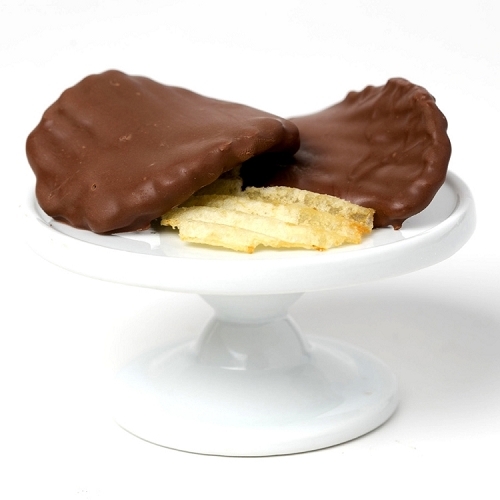 The saltiness of a chocolate covered pretzel combined with a texture that reminds me of a chocolate covered marshmallow. The only danger is it's so good you'll want to eat it by the handful like popcorn! If you are a fan of caramel popcorn, NOTHING beats this chocolate covered creation from David Bradley. It is sweet & salty, and their chocolate is amazing! It's a family favorite in my house.